The first National Public School was founded in 1959 by Dr. K. P. Gopalkrishna. 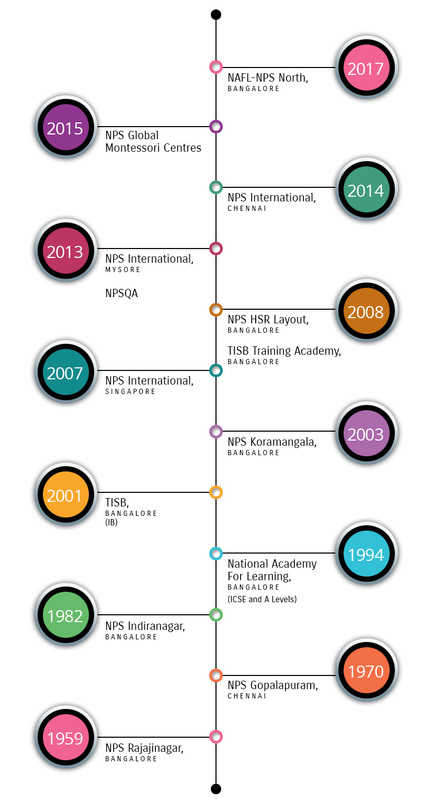 NPS is committed to providing a high quality academic curriculum and endeavours to prepare students for the opportunities and challenges of a globally connected world. NAFL-NPS North is an independent co-educational school located in Ozone Urbana on a 4-acre campus. Ozone Urbana, spread over 190 acres, is Bangalore’s largest integrated township.